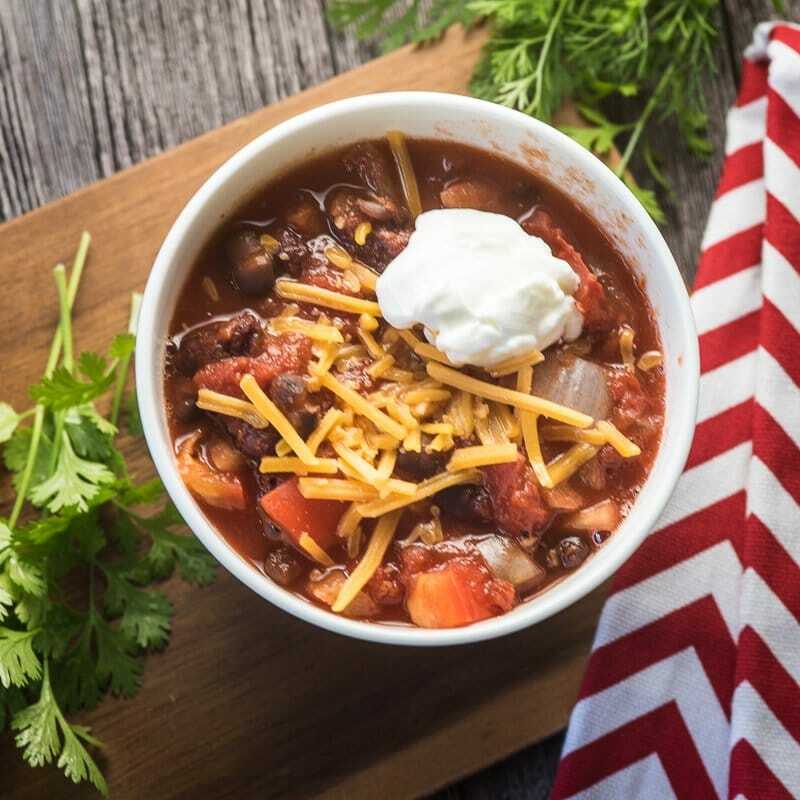 This slow cooker vegan chili is packed with flavor and loaded with protein. Let it cook all day in the crock pot, and it’s ready for dinner when you are! 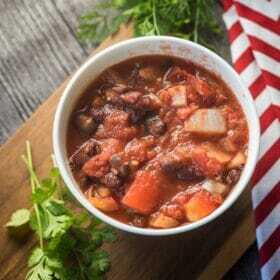 This slow cooker vegan chili is one of my most requested recipes. It’s incredibly fast and easy to put together in the morning, and you can have a big pot of homemade chili waiting when you get home from work. My vegetarian friends love it, but my non-veggie family are equally big fans! Slow cooker (or crock pot) cooking is one of my favorite tricks for getting through the winter. Days are shorter, and I just don’t always feel like cooking when I get home in the evening. Add a toddler to the mix – and I really need easy solutions for the work week. The trick to this is either getting a slow cooker with a built-in timer. Or if yours doesn’t have this feature, you can get an external timer that will work with any standard electrical outlet. Either one of these options will allow you to set up your slow cooker in the morning, and have it turn on at the right hour during the day. I always set up my slow cooker vegan chili before I go to work at around 7am. I set the timer to turn on at about 1pm, and it’s ready to eat when I get home at 6pm. Amazing! Let’s make Slow Cooker Vegan Chili! The best part of this recipe is how quick and easy it is to put together. 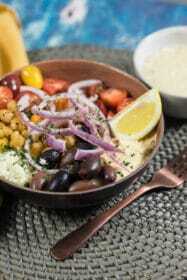 You can use any combination of beans and veggies that you like. I tend to use a miz of black beans and red kidney beans. For the vegetables, I like red bell peppers, jalapenos, and sweet onions. 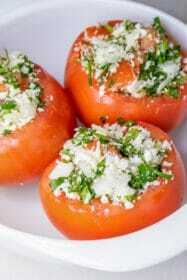 It’s not included in this recipe, but sometimes I throw in some corn kernels or some sliced portobello mushrooms. I like to sautee the vegetables with some chili powder, garlic, salt, and pepper before adding them into my slow cooker. I have found this gives them a sweeter flavor. But it’s not a requirement – you can also just put the veggies into the chili raw, which makes this even faster to prepare. It takes about four hours in the slow cooker. But leaving it longer won’t hurt anything, so there’s no rush to get home and turn it off. I always set my timer to turn off after a set time – say 6pm – just in case something were to happen and I didn’t’ get home in time. When it comes time to serve this up, you can get creative. I topped mine with vegan cheddar cheese shreds and plain vegan yogurt. 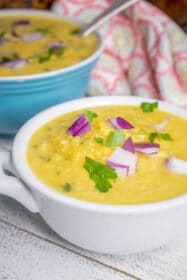 But of course regular cheddar cheese and sour cream would do, if you are not concerned with maknig this a vegan recipe. Other great toppings are cilantro, parsley, or even crushed tortilla chips. get creative! 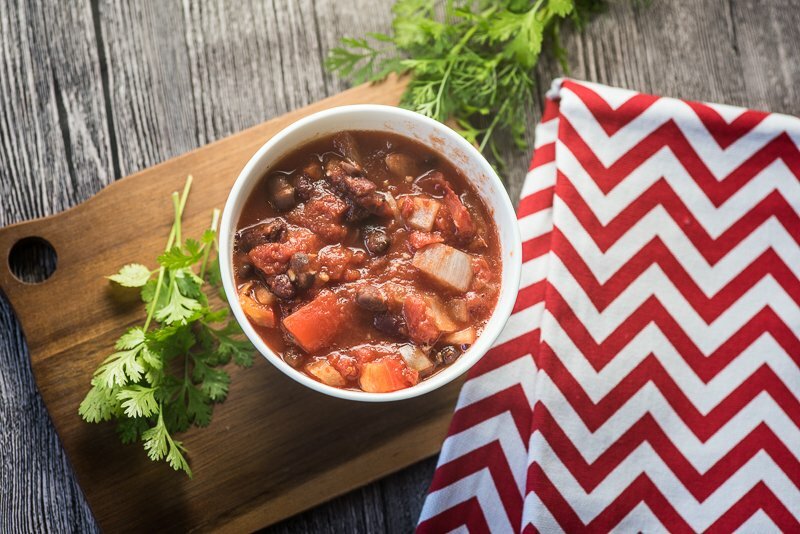 This vegan chili is packed with flavor and loaded with protein. Let it cook all day in the slow cooker, and it's ready for dinner when you are! Heat a drizzle of olive oil in a large pan, over meduim heat. Cook onions, bell pepper, and jalapeno for 5-7 minutes, until veggies are softened. Add garlic and chili powder, and cook for one more minute. Set aside. 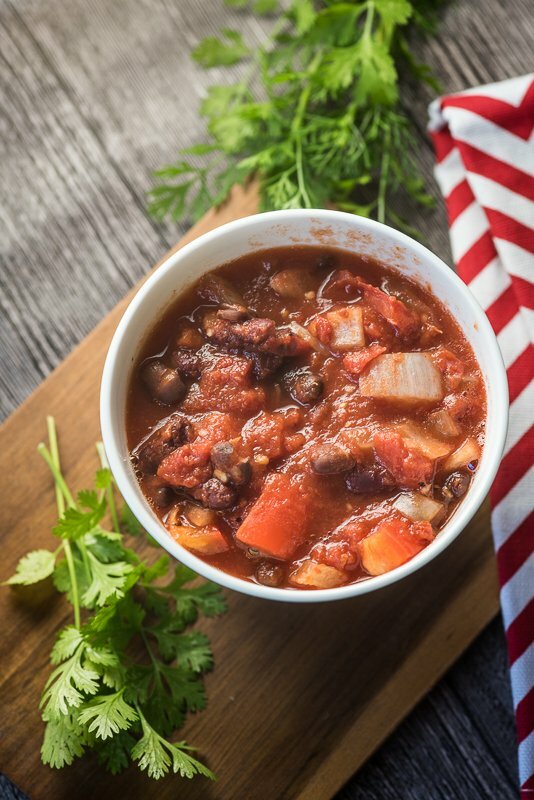 In the slow cooker, combine the cooked veggies, crushed tomatoes, diced tomatoes, red kidney beans, and black beans. Cover and cook on high power in the slow cooker for four hours. Serve with your favorite toppings. I use vegan cheese shreds and plain dairy free yogurt for my vegan toppings! Other great vegan toppings are cilanto, parsley, and crushed tortilla chips. About one cup – probably a bit more. Wow! This look Awesome!! !…Thanks for the recipe.